Here's a trellis that comes with its own plant display! 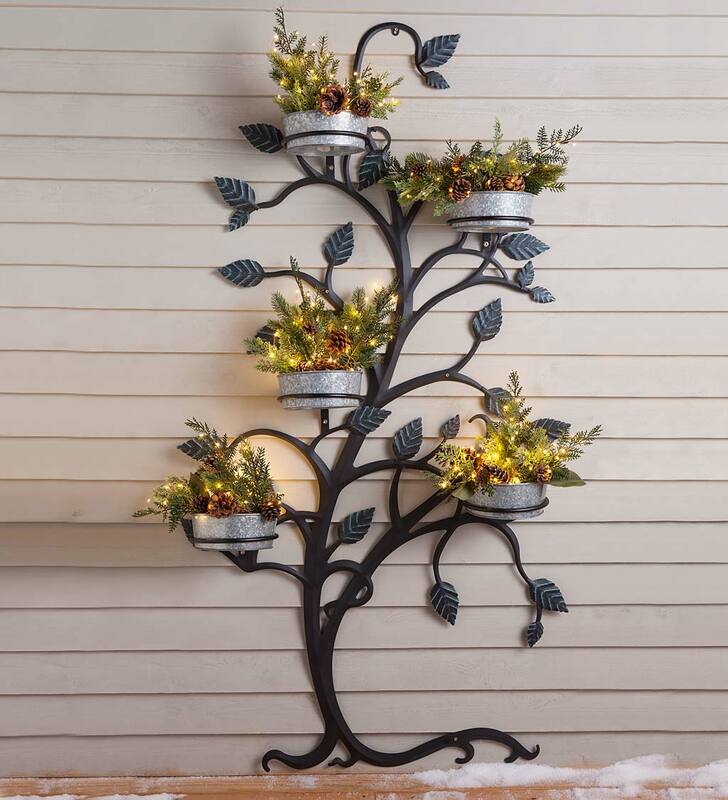 Our Hanging Tree Trellis with Pot Holders is artfully designed with graceful tree limbs that support five 8" pot holder rings to add color and interest in any season. 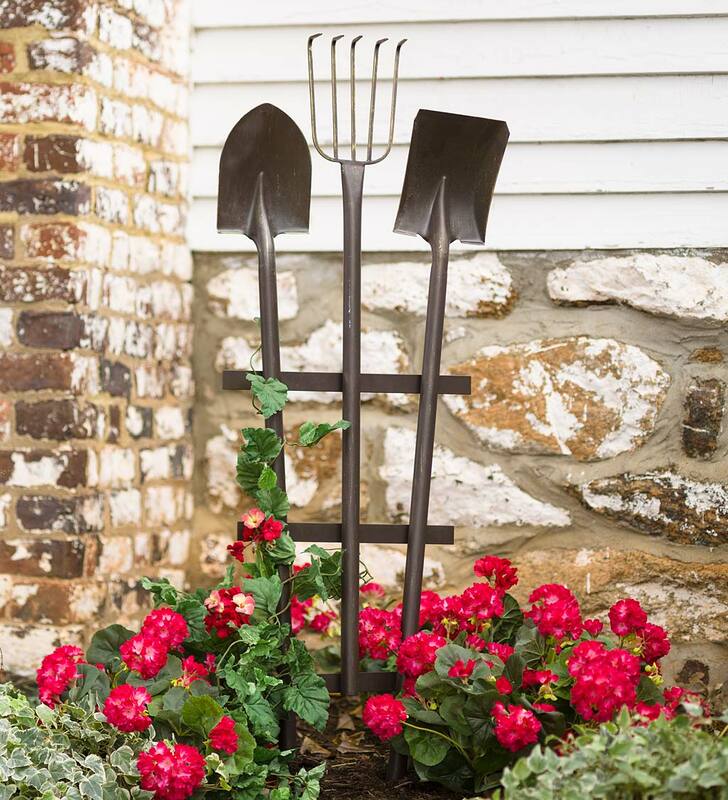 Try pumpkins for fall, flowers for spring, plants real or faux any time of year - the possibilities are endless! Made of metal with a gunmetal finish and verdigris leaves. Pots, gourds, foliage and other decorations not included. Hangs on wall; hardware included.